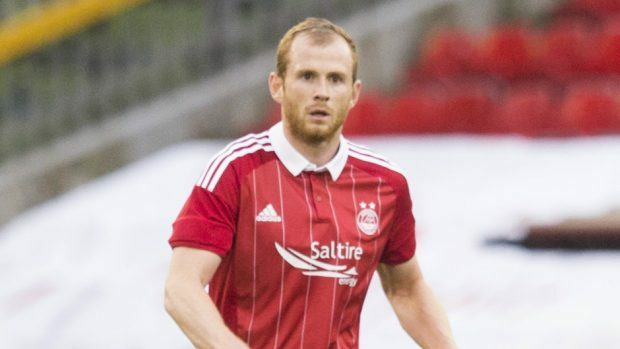 Aberdeen defender Mark Reynolds admits he has been frustrated by his lack of game time during the first half of the season. The former Motherwell and Sheffield Wednesday made only his third league start of the season in Saturday’s 3-0 defeat by Celtic. With Kari Arnason and Scott McKenna emerging as Aberdeen’s first choice defensive pairing, Reynolds has had to be content with a place on the bench for the majority of the Dons games this term. But the 30-year-old hopes he did enough against the Hoops to maintain his starting berth with McKenna expected to be available for selection after missing the match at Parkhead with a calf strain. He said: “I am used to playing a lot of games so it is disappointing to drop out and be watching from the side. “I just have to work hard and be ready. “I felt I played well against Celtic. All I can do is work hard and give the manager a decision to make. “The manager decides who plays. It is not something that I have been aggrieved about – you just have to accept it. “There is no point stomping about the place. After failing to get the better of Celtic on Saturday, Reynolds is hoping for wins against Partick and Hearts to ensure the Dons remain above Rangers heading into the winter break. He added: “We are sitting in a strong position in the league. “We have two huge games coming up and we want to take maximum points. “We want to be sitting second come the end of the year and be able to enjoy going into the break. “We want to keep close to Celtic for as long as we can so we need to keep collecting points as it is getting busy below us as well. “There are teams creeping up and it is going to be an interesting fight towards the end of the season in terms of who is going to finish in the top four positons. “We have managed to do well in December over the last few years and that has set us up nicely for the second half of the season.